Something makes me not think of Kitties as the best pets. 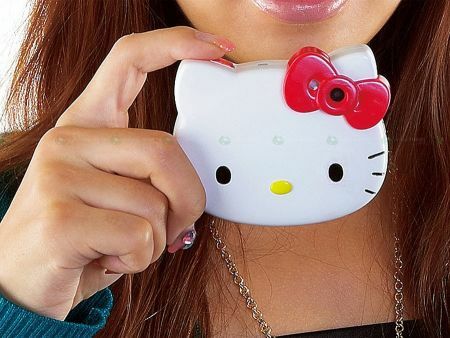 That is one of the reasons why I never liked ‘Hello Kitty’ products but anyways I know, many of us do like those. Anyways, ‘Hello Kitty’ is out with their latest product which is a 5Mpix digital camera that looks like their standard kitty too. The shutter of the camera is located on the left ear and the lens has been placed in the bow tie. The camera has a 2′ LCD with 32 MB of internal memory. The camera also features a 4x digital Zoom. ‘Sanrio’ will be available by December start in Japan. If you game for it, get it!